Recently I met up with a friend of mine for lunch and we decided to do a makeup swap! 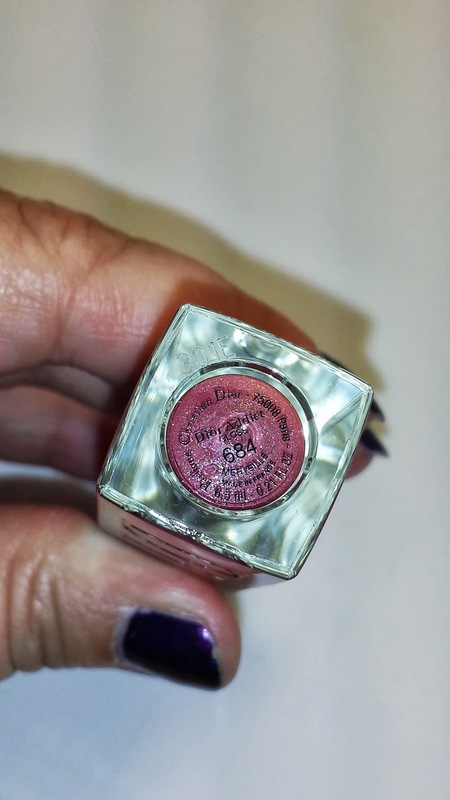 Basically we bring any unused high end makeup item that we no longer want and we swap with each other. We try to swap within the same price range so as to keep it fair. The end result is that we both end up with some really nice quality products to try. Also, we usually snap and share pics beforehand so we have an idea of what each other has in our stash to trade. 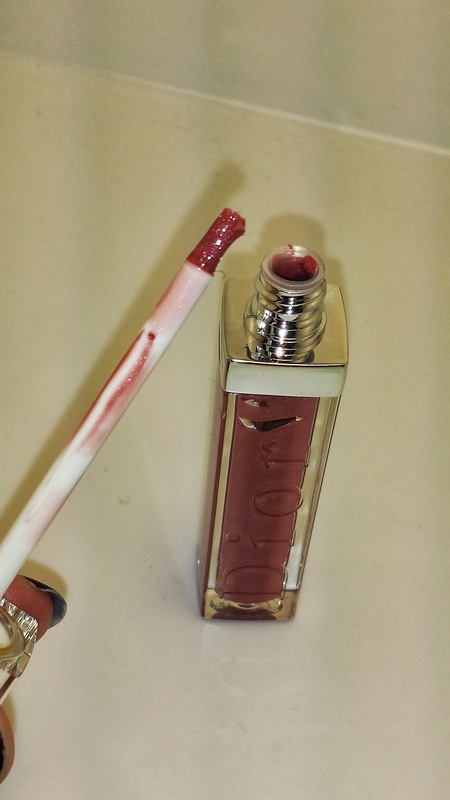 One of the items that I wanted was this Nordstrom exclusive Dior Addict gloss in 684 Merveille. It was only available during the Nordstrom Anniversary sale back in August so I was super excited she had one for trade. 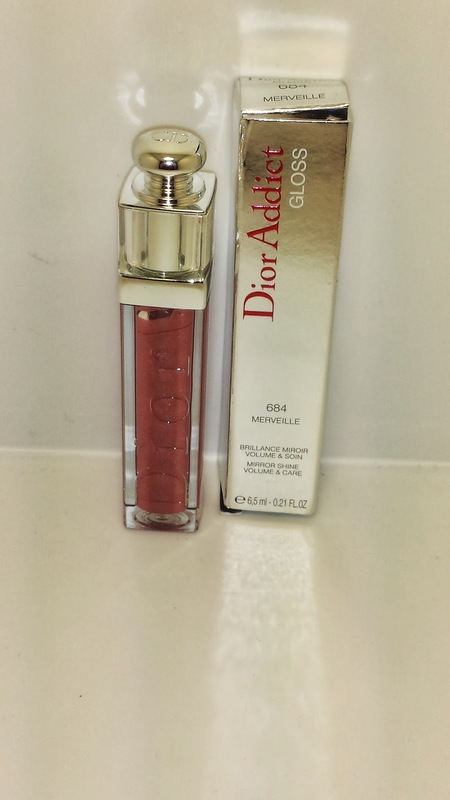 I believe it retailed for 29.50 USD and it contains .21 fl oz. of product. 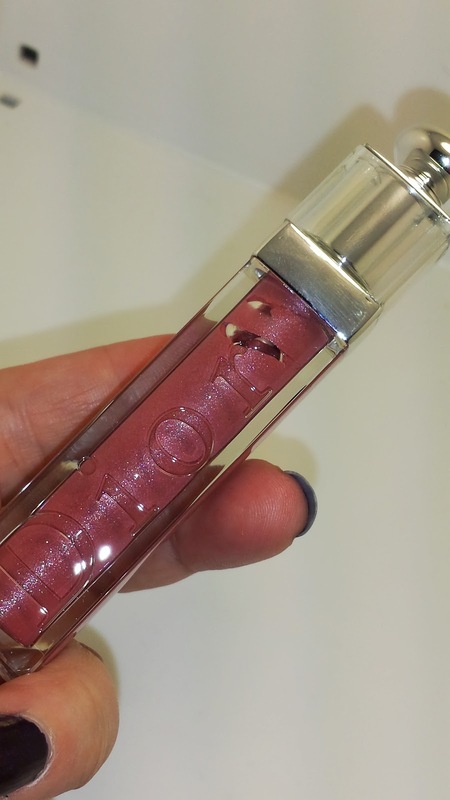 The gloss is described as a plummy mauve with loads of shimmer. 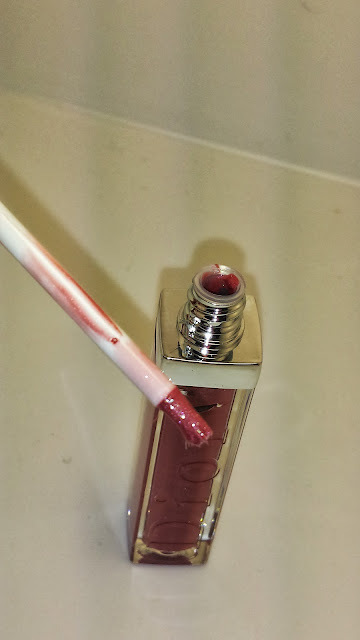 The formula is thick and the brush applicator is rather small but application was easy and it only took a few swipes to apply. 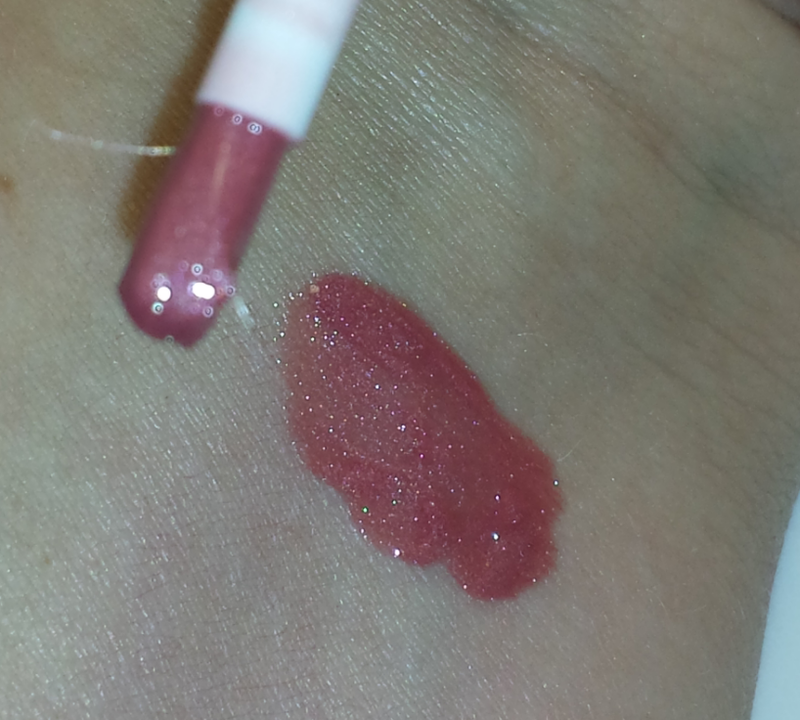 I read somewhere that the gloss is supposed to plump the lips, but if it did, I didn't notice a difference. The gloss wore for about three to four hours which is on par with what I typically experience with other glosses. The gloss did seem a little heavy on the lips but that could also be because of the thick formula of the gloss. It wasn't anything bad but I will use a lighter hand when applying it next time.